Magical Nativity plays and visits to Father Christmas at Pennywell Farm this Christmas. 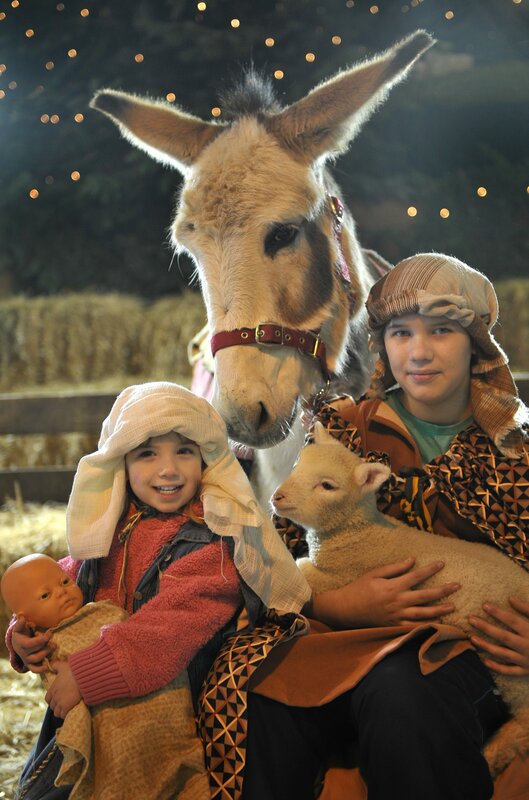 Get the whole family caught up in the Christmas spirit at Pennywell as you join the cast in bringing the Nativity to life, with some help from the animals too. The barn will be transformed into a Nativity scene, imagine twinkling lights, the smell of Christmas trees and carols ringing out across the farm. We provide the costumes for children and grown ups to become stars of the show as heavenly angels, shepherds watching their flocks, wise men travelling, innkeepers or of course Mary and Joseph. Join in or simply help us sing the hymns and watch the magic unfold with cameras at the ready. As well as your Nativity Performance every child can visit Father Christmas in his grotto for a personal greeting and special Christmas gift. Then enjoy warm mince pies and mulled wine or home made biscuits and juice in the cafe. The whole experience will take around 2 hours and you’ll leave feeling full of festive spirit with memories to cherish. Booking is absolutely essential. Please book your tickets online. Santa and his Elves will arrive on the Farm on Saturday 24th November and there are performances on Sat 24th and 25th November. Then in December we have performances on Sat 1st, Sun 2nd, Sat 8th, Sun 9th, Sat 15th, Sun 16th, Fri 21st, Sat 22nd, Sun 23rd and Mon 24th.